Slated for a debut at the 2016 Paris Auto Show, the new Audi A5 Sportback has made an early debut, boasting a much needed update to exterior styling, a very slight increase in size (overall length up by 0.4 feet over the current model) increased room inside for passengers, and there’re even some updates to the powertrain department that bring more power output and better fuel economy. Of course, the best part is that the A5 Sportback finally features Audi’s newest design language, which means that ridiculously tall and boring grille up front is finally a thing of the past. We saw the new Sportback out testing in camo as early as March of 2016, but we could only make out so much of what was going on. Of course, we knew it would take on styling cues from other models in the lineup, but that wasn’t really enough to get the blood flowing. Compared to the previous model, the new, second-gen model does have a sportier rear end, but the overall styling and characteristics of the car really go on unchanged. Not that it’s necessarily a bad thing, just don’t expect to see too many wild changes, and you won’t be disappointed. Well, with that said, let’s take a good look at the second-generation Audi A5 Sportback and talk a little more about it. 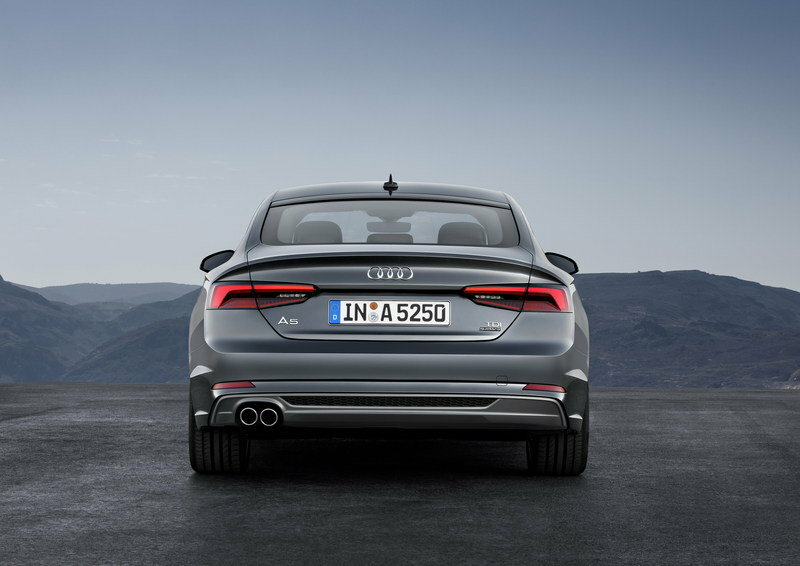 Continue reading to learn more about the 2017 Audi A5 Sportback. While I can appreciate the fact that the A5 Sportback is a hatchback, I’m still not sure the whole four doors and a hatch on a car really works. I like that the A5 has a longer hood and a rear-biased passenger compartment, but I still think there are just too many choices in models these days. Be that as it may, I must say that this specific model looks much better sporting a second-gen face with Audi’s latest design language. 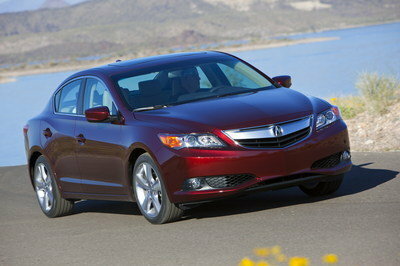 Compared to the outgoing model the front end is much more attractive. That ugly, almost square grille is no more, leaving room for a shorter and wider unit that finally sheds on of the worse looks Audi ever put on the face of a car. The hood now wraps around the nose a little more which, in combination with the dramatic hood lines, gives the front end a more menacing and commanding appearance. Thanks to the new grille, the hood now wraps around the nose a little more which, in combination with the dramatic hood lines, gives the front end a more menacing and commanding appearance. The headlights are now thinner and have a somewhat sleeker appearance with that LED strip running along the top of the lens. The corner air inlets aren’t quite as wide and, thanks to the abundance of definition around them, are now sportier and appear taller. That little air dam that sat below the grille on the outgoing model is still in place, however, it now runs the entire width of the front fascia and is accented by a stylish but mild front splitter. Moving over to the sides, there is more shame and disappointment than anything. While this is a second-generation model, Audi clearly left the actual shell of the car practically unaltered. The same two body lines exist, with the upper body line running from the headlights to the taillights with a small curve that follows the contour of the wheel arches. The lower body line that runs between the wheel arches has been lowered a bit, but to the untrained eye, the sides of the car are practically unchanged. The side view mirrors are new and have a slightly taller appearance. The rear quarter glass also has a slightly different design with the bottom edge swooping up more dramatically in the rear and the rear most point aiming just a little higher. Like I said before, it’s really nothing to write home about. The rear did get more cosmetic upgrades that the sides did, which make the rear a little sportier. To start off, there is a new character line behind the rear wheels that ties into that side body line. The rear hatch is practically unchanged at first sight, but upon closer inspection, you can see that the lip on the hatch is now wider – now stretching to the upper outside corners of the tail lamps. The tail lamps are a little wider but have the same general shape. The inner lenses feature a little extra length, but outside of this, the only difference is the lens layout. They are a little more stylish than the outgoing units, and no longer have that cheap 90s look to them. Down below, new character lines in the rear fascia give the car a sense of command, and the rear insert at the bottom is now sleeker than before. All told, it’s a pretty good upgrade to the overall design, however, I still wish it had some new styling cues on the side. Sure that lower body line has been dropped a little lower, but in this case, less isn’t exactly more. Compared to the outgoing model, the interior takes on some significant changes in the style department. To start off, the center console now sits higher than before with the console and the center stack coming together at a much higher point. The cup holders have been moved forward, ahead of the shifter, while the shifter itself is now shorter, wider, and positioned farther back in the console. Ahead of the console on the center stack, a small control unit with two large knobs is in place for HVAC system, while the infotainment system display – Audi’s MMI navigation plus with MMI touch – now floats above the center stack. That system, by the way, is 8.3-inchs in size, has a resolution of 1,024-by-48- pixels, has 10 GB of flash storage, a DVD drive, Audi Connect services, and iOS and Android smartphone integration. Sound is sent to a Bang & Olufsen sound system with 3D sound. Overall there are 19 speakers and 755 watts of power. Compared to the outgoing model, the interior takes on some significant changes in the style department. All told, the interior has grown a bit with the overall interior length being increased by 17 mm; shoulder room increased by 11 mm, and rear knee room increased by 24 mm. While that is a little extra room, it’s really not much and practically unnoticeable from inside the vehicle. The dash now features a wider-looking layout with HVAC vents running from the center across the face of the dash. There’s a three-spoke steering wheel that is wrapped in leather with a 12.3-in TFT monitor just ahead that displays all pertinent vehicle information for the driver. A head-up display system is optional at a premium. The door trim panels are now more stylish with the pull handle now ahead of the armrest, while the window and mirror controls are now flat and sit a little farther back. The armrest and pull handle are wrapped in the same leather as the seats. There’s also an Alcantara insert between the upper segment of the panel and the armrest. A storage pocket is now located below the armrest. The seats on the new model actually take on a somewhat dated look in my opinion, with rectangular sections making up the center of the seats. In the rear, the seatback comes standard with a 40-20-40 split to allow for expandable cargo room or access to the trunk from the interior. With the seats up, the trunk can hold 16.95 cubic-feet of cargo, while laying the seats down increases cargo space to 45.91 cubic-feet. Not bad. The rear door panels mimic the front almost perfectly, featuring the same Alcantara inserts and silver trim around the door handle. There is a small center console for rear passengers that is integrated with the front console. It provides to rear vents in the center along with a few HVAC controls to help keep rear passengers at bay during longer road trips. While I’m not sure I would want to ride back there with three people, it would certainly be more than spacious with just two rear passengers. 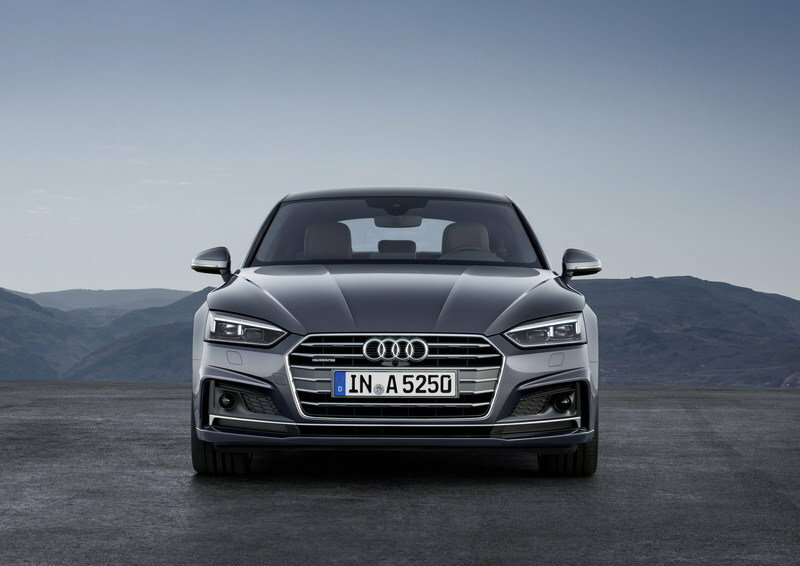 Audi is offering the A5 Sportback with a choice of two different gasoline engines or three different diesel configurations with power ranging anywhere between 187 and 282 horsepower. Both of the available gasoline engines are 2.0-liters in size. On the lower end of the spectrum, the 2.0-liter gasoline mill produces 187 horsepower and 236 pound-feet of torque. If that isn’t enough and you want to stick with gasoline, the high-end version of the same engine produces 248 horsepower and 272.9 pound-feet of torque. 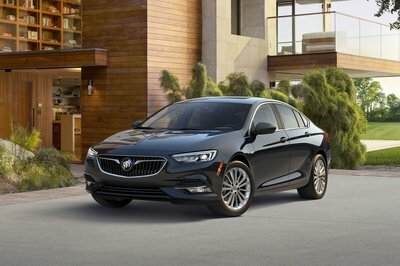 The more powerful gasoline unit can push the Sportback up to 62 mph in around six seconds and has a combined fuel economy rating of 47.8 mpg. Audi didn’t mention the fuel economy or performance of the entry-level gasoline mill, but it’s safe to assume 62 mph comes in around seven seconds. 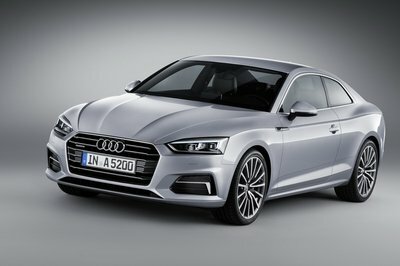 Audi is offering the A5 Sportback with a choice of two different gasoline engines or three different diesel configurations. On the diesel front, the entry-level pill is a 2.0-liter TDI that delivers a fair 187 horsepower (Just like the gasoline unit) and 295 pound-feet of torque. According to Audi, this is enough to secure a 7.4-second sprint to 62 mph, a top speed of 146 mph, and a combined fuel economy of 67.3 mpg combined. Then you’ve got the 3.0-liter TDI that is offered in two different flavors. On the lower end of the V-6 diesel spectrum, you get 215 horsepower and 295 pound-feet of torque. Fuel economy is said to be 61.4 mpg combined. The second and more desirable of the two is “new” and has an elevated output of 282 horsepower and 457.3 pound-feet of torque. Of course, if that’s not enough for you, you could upgrade to the S5 Sportback which has a turbocharged V-6 with 349 horsepower and 368.8 pound-feet of torque. When it comes to shifting duties, you have your choice between three different transmission units. First there’s a six-speed manual for those who like to row their own gears (at least Audi isn’t killing off the manual yet, right?) 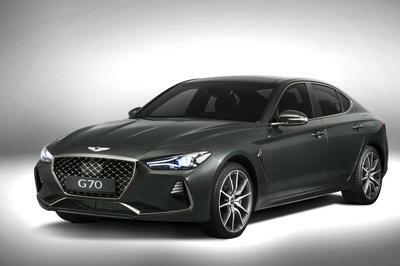 Then there’s a seven-speed S Tronic dual-clutch unit that can be equipped with paddle shifters or an eight-speed automatic for those more interested in smooth and luxurious driving over days of spirited acceleration and bending corners. It’s a little too early to really discuss pricing, but we know the current A5 Sportback goes for £30,035 (about $42,752 at current exchange rates) over in the U.K., so expect to see a slight increase in pricing, maybe upward of £31,000. The 5-Series GT turned out to be pretty unsuccessful, and the 3-Series GT hasn’t really performed all that well for Bimmer either, but it is a competitor to the A5 Sportback. Like the Audi, the 3-Series GT offers a range of gasoline and diesel powered engines in the four- and six-cylinder flavors and combines the ideals of luxury with the functionality of long-range comfort. The 3-Series GT shares a similar design with the A5 Sportback and commands a starting price tag of £30,055 – just £20 more than the current A5 Sportback. 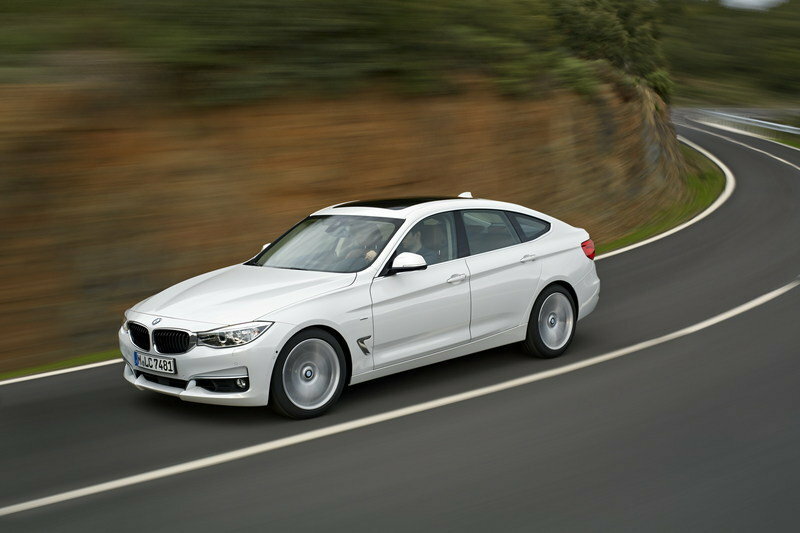 Read our full review on the BMW 3-Series GT here. The CLA Shooting Brake is more of a wagon than a four-door hatch like the 3-Series GT or the A5 Sportback, but I think it should be considered as a competitor. It offers great luxury inside and sporty styling outside, with the extra cargo room provided by its shooting brake design. It has only been around since 2013 and is slated to go through an update for the 2017 model year. The best thing about the CLA Shooting Brake is its starting price. The current model currently retails for £26,030 in the U.K., which places it about £4,000 cheaper than we expect the new A5 Sportback to go for. It might not be quite as sporty as the A5 with its wagon-like nature, but when it comes to cargo space, people hauling, and luxury, you’ll find the CLA is well worth a look. 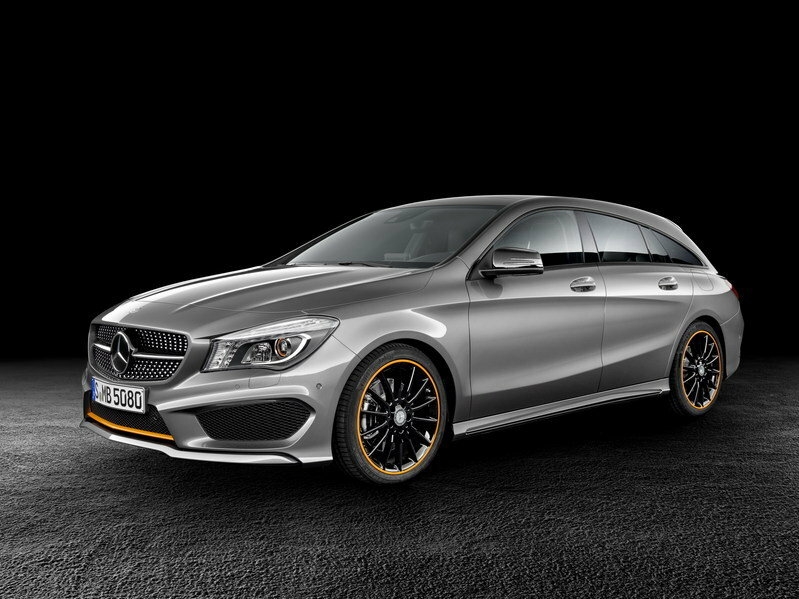 Read our full review on the Mercedes CLA Shooting Brake here. While I’m still not a fan of the whole four-door hatchback, I have to say that after spending time looking over the vehicle and learning all about the fresh changes, the A5 Sportback is starting to grow on me. I do think that Audi could step up its redesign game a little better, especially when it comes to the side profile of its cars. I mean let’s face it – the side profile of the second-gen model is nearly identical to that of the outgoing model. And, while there is plenty of change in the front and rear, it’s kind of like doing the job half-assed, don’t you think? Okay, so maybe I’m being a little critical here, but it a weird way that’s my job. As far as the interior goes, I’m pleased with the changes here, but the whole floating infotainment screen is starting to get a little dated. Otherwise, Audi made huge strides in improving the interior on this model. The interior is more stylish, less dated, and seems to be a very comfortable place to spend the daily commute. Add that with the bump in power and fuel economy, and it’s safe to say that Audi did a decent job on this generational model. Blending elegant and emotive coupé design with impressive family car functionality and comfort has long been the forté of the sleek Audi A5 Sportback. Seven years and more than 340,000 units later, the 2016 Paris Motor Show will play host to the world premiere of the all-new second generation model, which further refines the ‘best of both worlds’ concept with even more tightly wrought lines, a completely new platform, the very latest engine, transmission and quattro drive developments and a host of contemporary driver assistance and infotainment systems. Sharing the stage at Paris will be the flagship Audi S5 Sportback, which draws upon a new V6 turbocharged TFSI powerplant to deliver a hefty 354PS and 500Nm of torque from 1,370 to 4,500 rpm. From rest, it will blast past 62mph in only 4.7 seconds and can reach a limited top speed of 155mph. Audi designers have brought together dramatic shapes and taut surfaces to update the new A5 Sportback, creating a familiar yet completely contemporary silhouette for the five-door coupé design that retains the original’s unmistakable road presence. The stretched wheelbase, short overhangs and long, wraparound bonnet featuring a power dome emphasise the dynamism of the five-door coupé silhouette. The three-dimensional Singleframe grille is significantly flatter and wider than on the previous model. 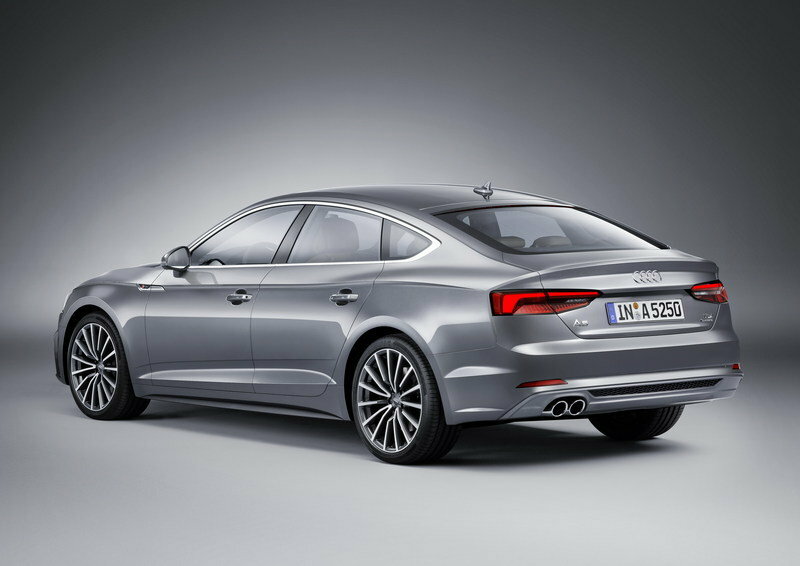 The wave-pattern shoulder line is a key contributor to the A5 Sportback’s elegant stance. It is even more strongly accentuated than on the previous model and traces all three dimensions, creating an interplay of light and shadow. The pronounced bulges over the wheel arches underscore the quattro DNA. The rear end exhibits horizontal, equally highly precise styling. The stretched luggage compartment lid terminates with a characteristic spoiler edge. 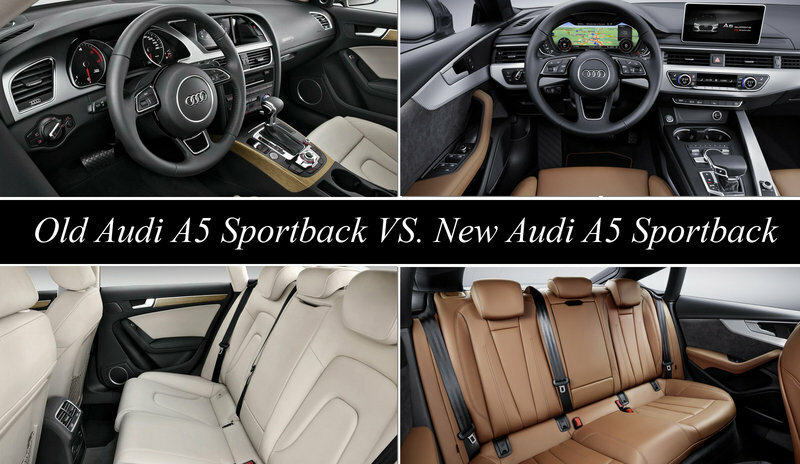 The new Audi A5 and S5 Sportback have grown significantly inside. The interior length has gained 17mm, the shoulder room for driver and front passenger up to 11mm and the rear knee room 24mm. 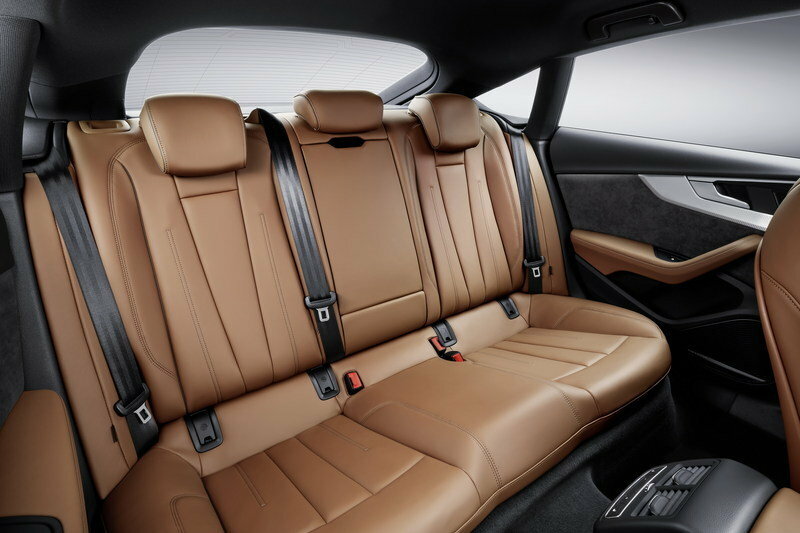 The sophisticated materials and colour schemes and outstanding build integrity in the interior are typical of Audi. The horizontal architecture of the instrument panel creates a sense of spaciousness. The optional ambient lighting with 30 colours to choose from always evokes a fitting interior mood. The rear seat back splits 40:20:40 as standard. The load-area width measures exactly one metre. The rectangular-shaped layout of the 480-litre luggage compartment makes it outstanding in terms of practical use. With the rear seats folded down, it can even accommodate 1,300 litres. Thanks to the all-new operating and display concept, including free-text search, the driver can control all functions effortlessly and intuitively. As an alternative to the standard-fit analogue instrument dials, the Audi virtual cockpit with its various display options brings the driver added convenience. The large, high-resolution TFT monitor (12.3 inches) presents richly detailed graphics. Audi’s flagship infotainment version is MMI navigation plus with MMI touch. It includes such features as 10 GB of flash storage, a DVD drive, Audi connect services free of charge for three years, up to five free navigation updates and an 8.3-inch monitor with a resolution of 1,024 x 480 pixels. Audi MMI navigation plus works in close cooperation with many of the assistance and safety systems. The Audi smartphone interface integrates iOS and Android phones in an environment specially developed for them in the MMI. The Audi phone box connects smartphones to the on-board antenna to provide superior reception quality. It also charges the smartphone inductively, without any wires, using the Qi standard. The Bang & Olufsen Sound System with innovative 3D sound opens up the spatial dimension of height and gives the driver the sense of sitting in a concert hall. Its amplifier supplies 755 watts of power to 19 loudspeakers. Playing a central role here is the adaptive cruise control (ACC) Stop&Go system including traffic jam assist. It relieves drivers in slow-moving traffic up to a driving speed of 40mph by assuming the tasks of braking and accelerating the car, and it also temporarily takes charge of steering it on better roads. 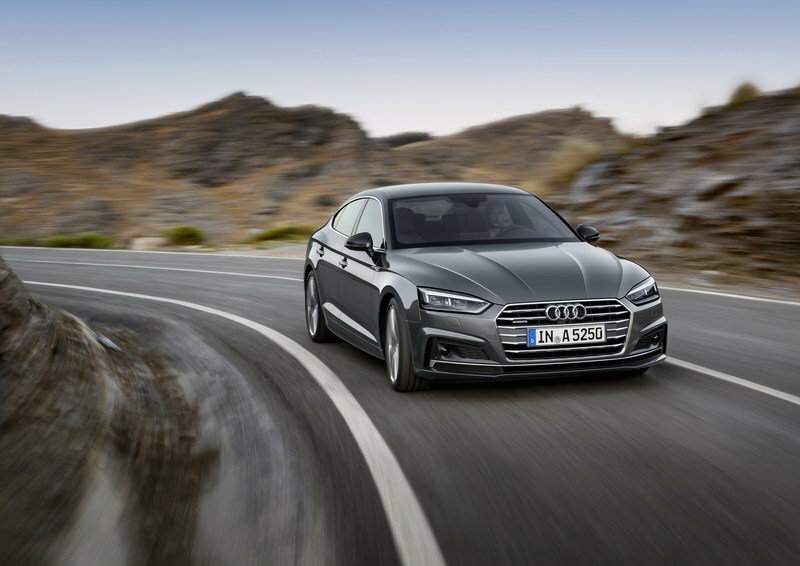 The wide track and comparatively long wheelbase provide excellent foundations for composed, agile handling in the new A5 Sportback. The track width is 1,587mm at the front and 1,568mm at the rear. 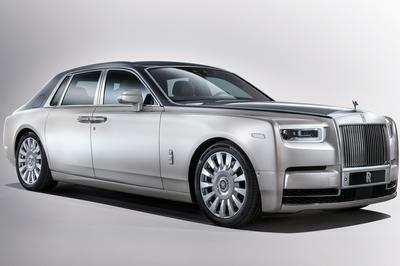 The wheelbase measures 2,824mm. The front axle features redesigned five-link suspension, while a five-link construction replaces the trapezoidal-link rear suspension used previously. Specially tuned S sport suspension is fitted to the Audi S5 Sportback. The adaptive dampers available as an option are integrated into the standard Audi drive select dynamic handling system. They make for a driving experience that is both dynamic and comfortable. The new electromechanical power steering provides better road feedback and steering precision. Also available as an option is dynamic steering, which varies its gear ratio depending on the speed and steering angle. As standard, the A5 Sportback is fitted with 17-inch forged lightweight wheels, with a wide range of options available up to 19 inches in size. All tyres have been optimised for rolling resistance, which reduces CO2 emissions by an average of 2.8 grams per km. 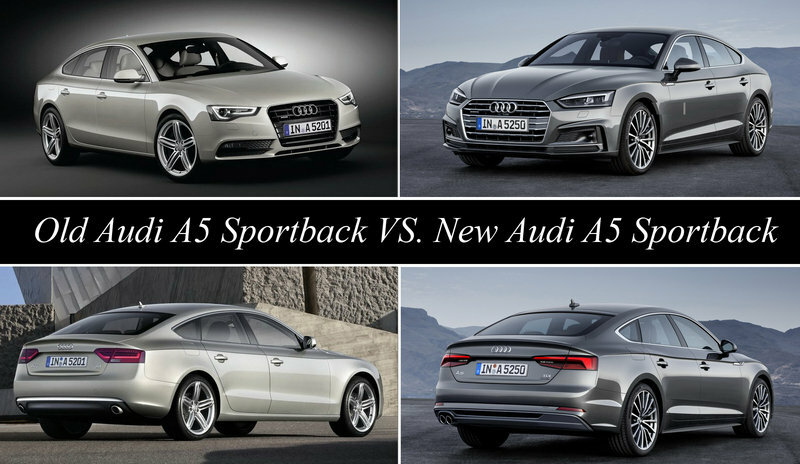 Customers can choose between two TFSI and three TDI engine versions for the new Audi A5 Sportback. They produce between 190PS and 286PS of power. Compared with the previous model, Audi has reduced their fuel consumption by as much as 22 percent while increasing power output by up to 17 percent. The top version of the 2.0 TFSI produces 252PS. 370 Nm (272.9 lb-ft) of torque is available between 1,600 and 4,500 rpm. It sprints from 0 to 62mph in six seconds on its way to an electronically limited top speed of 155mph. Up to 47.8mpg combined is achievable, which corresponds to 136 grams of CO2 per kilometre. The second version of the 2.0 TFSI has an output of 190PS and 320 Nm (236.0 lb-ft) of torque available from 1,450 to 4,200 rpm. The power unit is responsive, flexible and thoroughly economical. These characteristics are the result of a new strategy: the continued development by Audi of successful engine downsizing into rightsizing. The trailblazing efficiency of the 2.0 TFSI with 190PS is the result of an innovative combustion principle. The comparatively high displacement is no handicap here – in fact, it is essential. 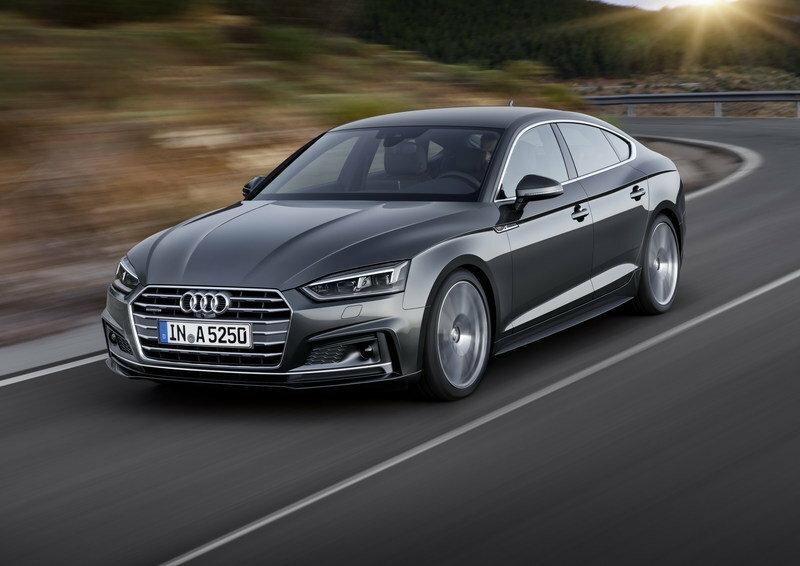 Customers of the new Audi A5 Sportback enjoy the advantages of a small-displacement engine when driving at moderate speeds, without having to compromise when it comes to faster driving. The four-cylinder TDI in the new Audi A5 Sportback develops 190PS and peak torque of 400 Nm (295.0 lb-ft) between 1,750 and 3,000 rpm. With quattro all-wheel drive and the seven-speed S tronic, 62mph from rest takes 7.4 seconds. Top speed is 146mph. In combination with the seven-speed S tronic and front-wheel drive, the 2.0 TDI returns 67.3mpg combined according to the NEDC standard, a CO2 equivalent of 109 grams per km. High and low-pressure exhaust gas recirculation and sophisticated exhaust gas treatment including an SCR system (SCR: selective catalytic reduction) work in favour of low emissions. Audi also offers the 2.0 TDI in an ultra version which is distinguishable externally by way of a rear-mounted badge. The ultra badge denotes the most efficient versions of a model line. Modifications to the transmission ratio, optimised streamlining of the body and suspension as well as the use of low-rolling-resistance tyres help to further reduce consumption, enabling up to 68.9mpg combined (108 grams of CO2 per kilometre) in the NEDC cycle, which sets the benchmark in the competitive field. The two six-cylinder TDI power units offer a blend of power, refinement and impressive efficiency. The first variant of the 3.0 TDI produces 218PS and torque of 400 Nm (295.0 lb-ft), available between 1,250 and 3,750 rpm. In the NEDC cycle, this engine is capable of a combined 61.4mpg, corresponding to CO2 emissions of 119 grams per km. 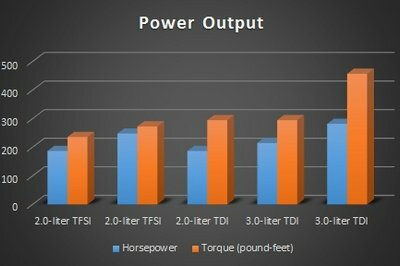 The new top TDI increases power output to 286PS and offers 620 Nm (457.3 lb-ft) of torque between 1,500 and 3,000 rpm. It features optimised combustion chamber filling, charge cycles and thermal management. The result is increased performance coupled with a further reduction in fuel consumption. Close-coupled catalytic converters treat the exhaust gas effectively. The top diesel version contains a newly developed turbocharger that is 20 percent lighter, with variable turbine geometry (VTG) and a maximum boost pressure of 3.3 bar. The developers put a lot of work into optimising the gas flow, with the result that the engine responds highly spontaneously to the accelerator. Six-speed manual transmission, seven-speed S tronic dual-clutch transmission or eight-speed tiptronic – there is tailor-made drivetrain technology available for every engine version. Front-wheel drive is standard, with quattro all-wheel drive available as an option in two versions. It is standard for the 3.0 TDI with 286PS. A V6 turbo engine with a hefty 354PS and 500Nm (368.8 lb-ft)of torque from 1,370 to 4,500 rpm powers the latest Audi S5 Sportback from 0 to 62mph in 4.7 seconds, and on up to an electronically governed top speed of 155mph. It naturally features quattro as standard, with wheel selective torque control as well as an eight-speed tiptronic transmission that can freewheel for further efficiency gains between 34 and 99mph when the driver eases off the accelerator pedal. The new quattro with ultra technology is available for the TFSI and TDI four-cylinder engines with manual transmission. The efficiency-optimised all-wheel drive system does not perceptibly differ from permanent systems in terms of traction and driving dynamics. This is all thanks to the combination of the newly developed all-wheel drive components with a sophisticated operating strategy and a torque split perfectly matched to the car. The all-wheel drive system’s intelligent control works predictively, always looking ahead by means of a comprehensive array of sensors and the continuous analysis of the driving dynamics, road condition and driver behaviour data collected. During operation at low loads without the risk of wheel slip, the new quattro drive exploits all the advantages of front-wheel drive. But the all-wheel drive system is always ready when needed. This system significantly reduces the potential difference in fuel consumption between front-wheel drive and permanent all-wheel drive systems. As an option for the S5 Sportback, Audi complements quattro all-wheel drive with another dynamic technology component – the sport differential. It uses two superposition gears to distribute torque between the rear wheels. The latest generation of the differential is roughly one kilogram lighter. During fast driving, the sport differential literally pushes the car into the curve, nipping understeer in the bud. When turning into or accelerating in a curve, most of the torque is directed to the outside wheel. 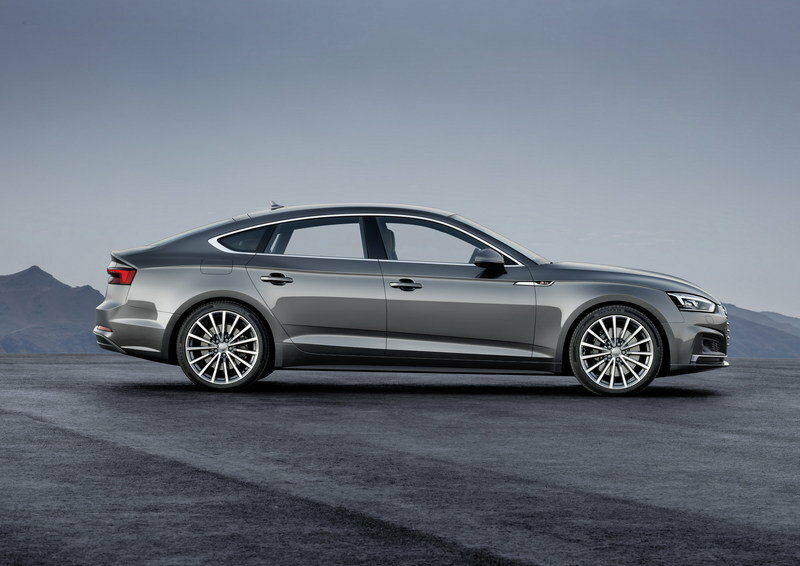 The body of the new Audi A5 Sportback is the lightest in the segment. An intelligent mix of materials makes it 15 kilograms lighter than that of its predecessor. The overall weight of the new generation has fallen by as much as 85 kilograms to just 1,470 kilograms, excluding the driver. Audi offers the model with an upgraded list of standard equipment that includes a wide range of extra functions. These include xenon headlights with LED daytime running lights and LED rear lights, Audi MMI radio plus with a 7-inch colour display, Bluetooth, a three-spoke leather multifunction steering wheel (including shift paddles in models with automatic transmission), front centre armrest, folding rear seat back with 40:20:40 split, and LED interior lighting. Also standard are the Audi drive select dynamic handling system, the Audi pre sense city and multicollision brake assist safety systems, and the variable speed limiter.